This is a gorgeous small Art Deco dinanderie lamp with its matching composite lampshade. 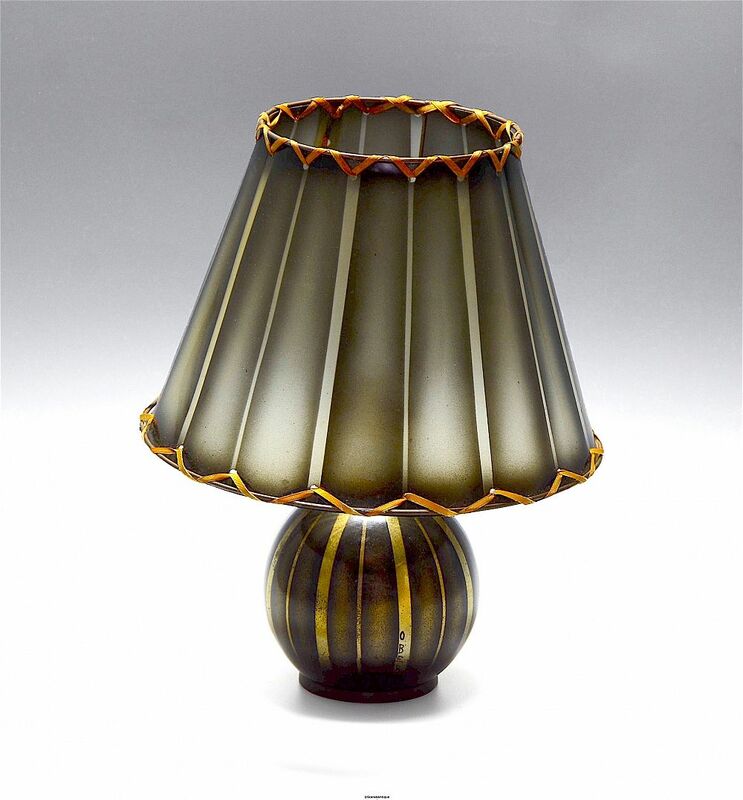 The round base is decorated in alternating vertical stripes of pale gold and black shading to bronze enamel. 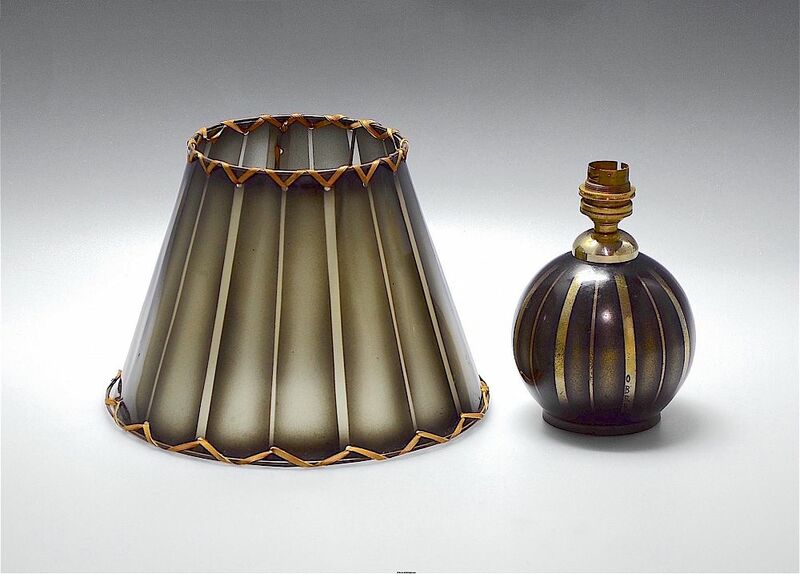 The composite lampshade is also in stripes of pale gold and black shading to bronze with oversewn top and bottom. It is signed "Obert".